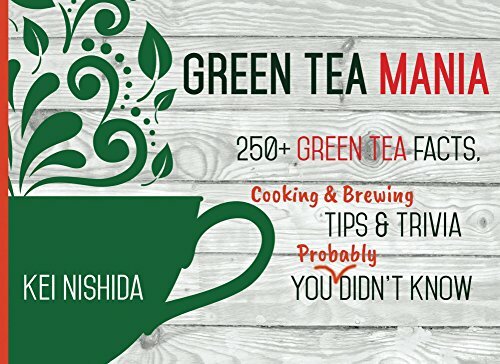 Green Tea Mania is a must have book for trivia lovers and fans of green tea. This is author Kei Nishada’s second book on green tea. Green Tea Mania delivers an array of delightful pictures and facts to help paint a picture on not only the health properties of this magical leaf, but also its history and cultivation. Did you know that Black Tea, Oolong Tea, and Green Tea come from the same plant or that their labels really just describe where the leaf was left off in the fermentation process? Learn about the unusual uses for Green tea such as “Green Tea Beer” or cake. Find out how to get more of the antioxidant Catechin out of tea by adding one simple ingredient. These facts and more are all contained inside this beautiful guide to GreenTea.